You can support one of our appeals either by donating online, or by downloading and sending us a donation form. 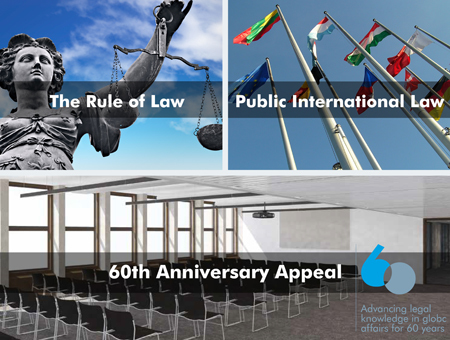 By providing a monthly or annual donation to BIICL, you will help us in responding to global issues and rule of law challenges as they arise, without waiting for project funding. If you would like to arrange regular giving, please contact Florence Skinner, Development Manager. UK taxpayers can increase the value of their donation by 25% by signing the Gift Aid declaration when making a donation. This allows BIICL to reclaim the basic rate of tax on a gift. By leaving a legacy you will support the future of BIICL, ensuring we are able to continue our mission for years to come. More information on legacy giving is available here. Supporters in the US can donate to BIICL's affiliate charity, The International Rule of Law Project Inc (IROLP) which has 501(c)3 status in the US. More information on IROLP is available here. Donors resident in Belgium, France, Germany, Ireland and Netherlands can donate to BIICL through Transnational Giving Europe by emailing tge@cafonline.org. BIICL's fundraising is governed by our Guidelines for Ethical Funding. "Legacy giving - BIICL provide events and research"